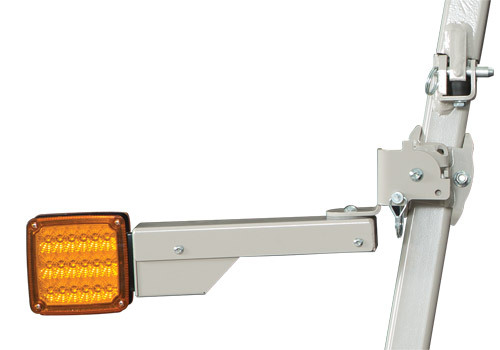 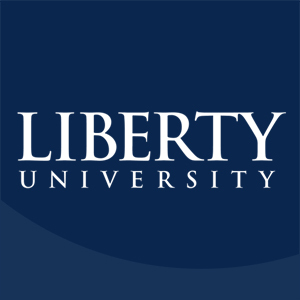 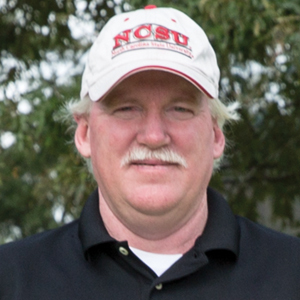 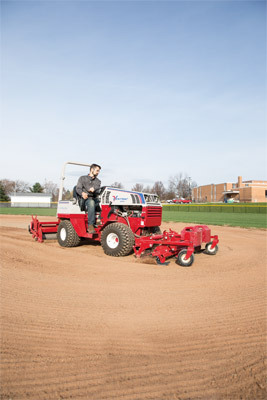 Schools and universities need professional equipment and professional results. 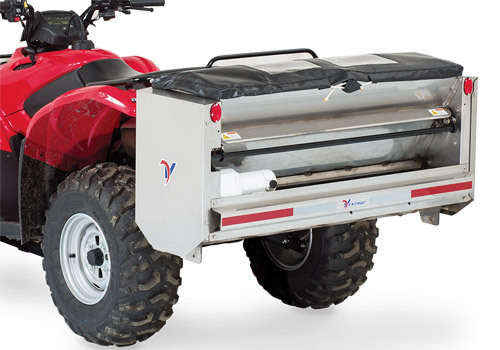 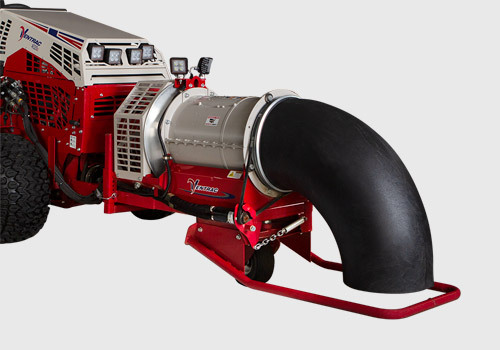 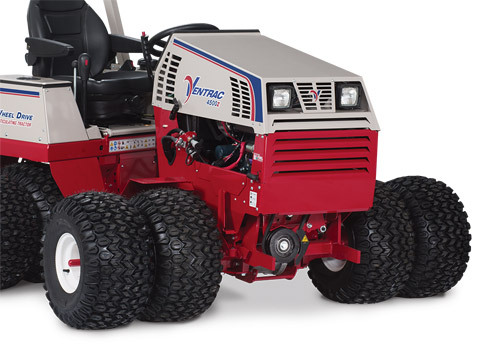 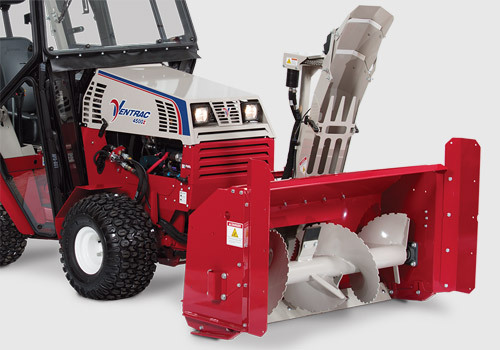 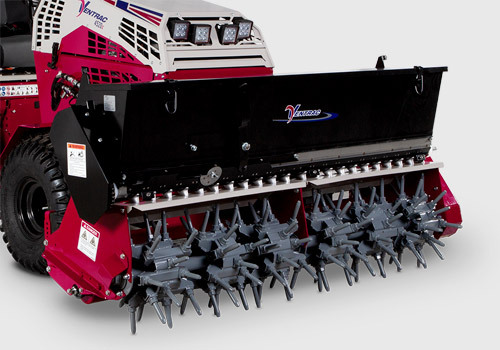 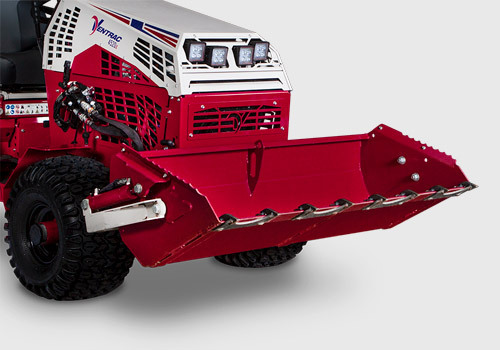 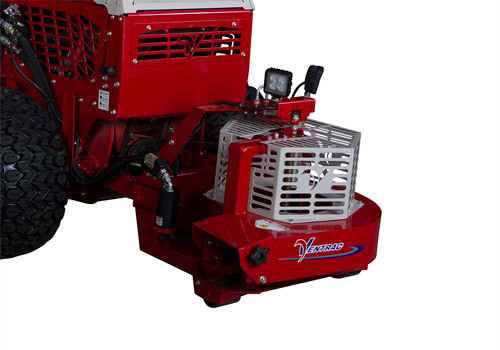 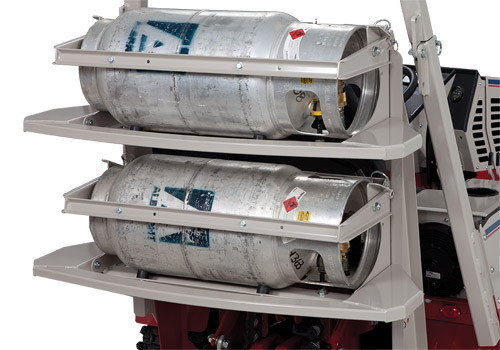 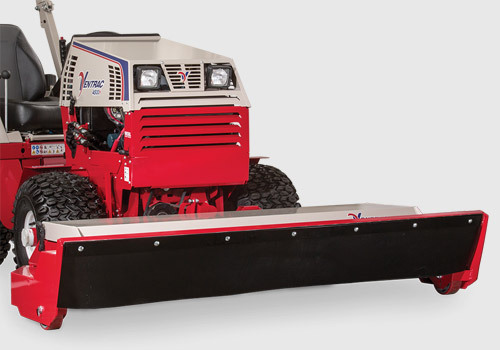 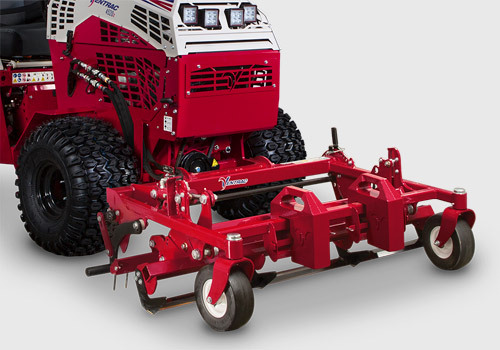 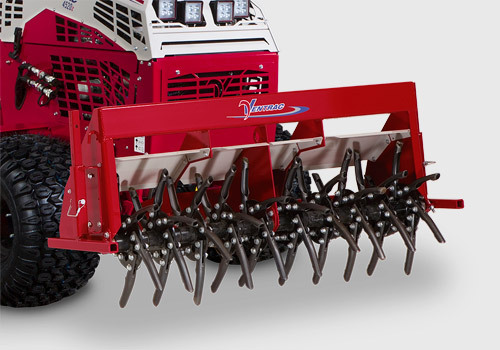 Ventrac brings those things and more to the table. 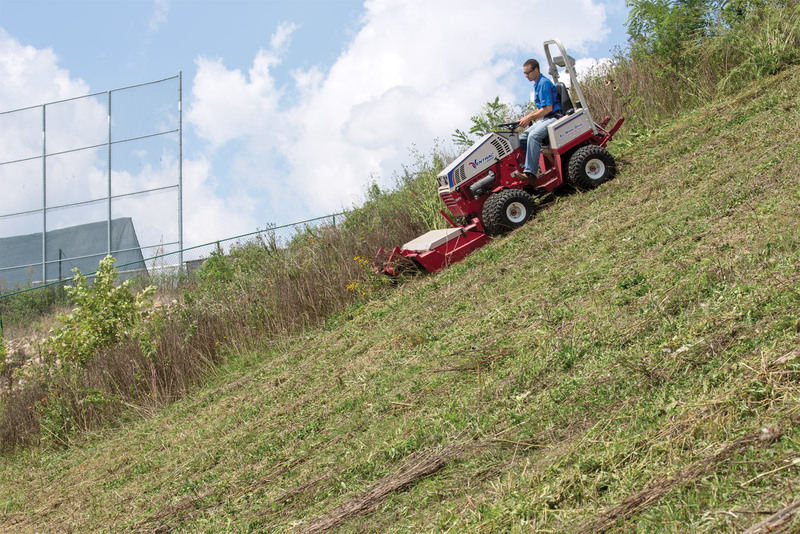 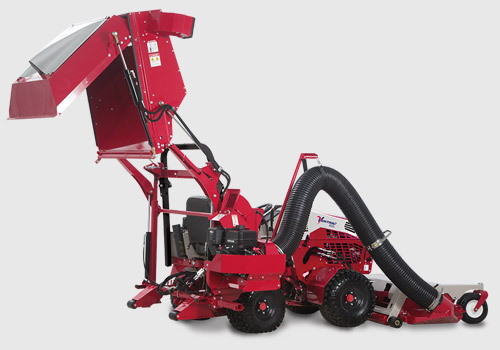 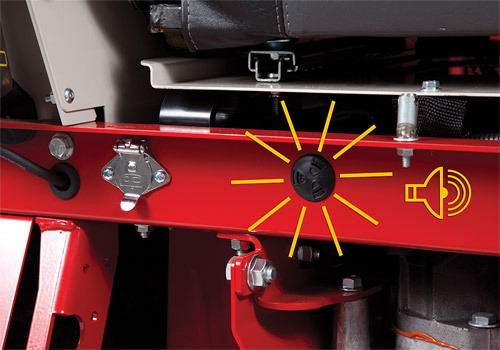 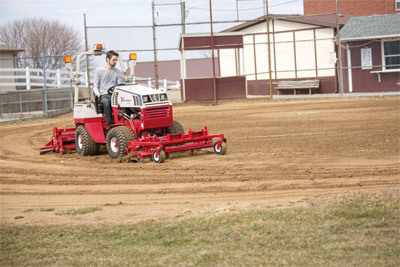 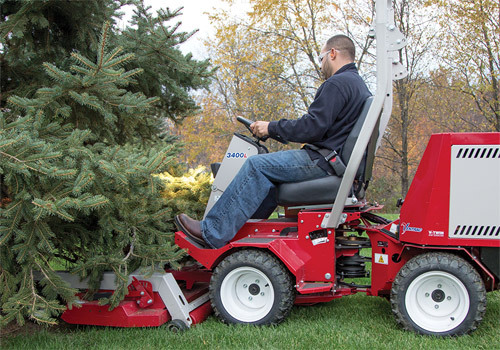 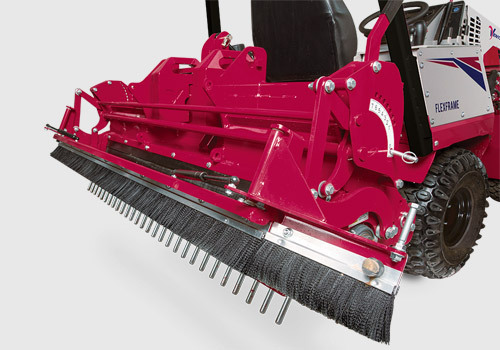 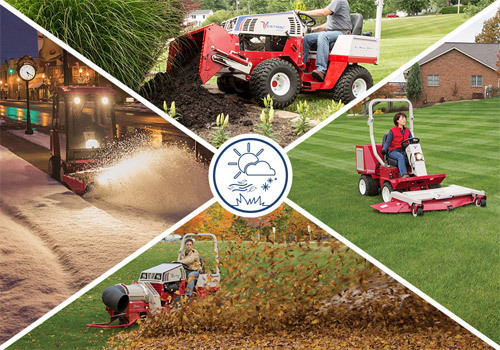 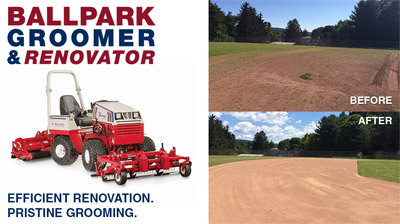 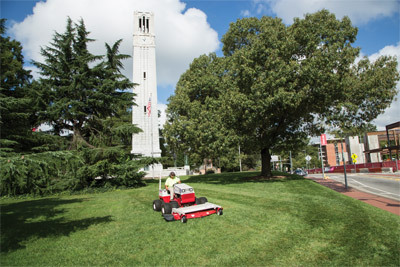 With one powerful compact tractor and a handful of unique attachments, a grounds crew can do everything from finish mowing to snow removal and nearly everything in between. 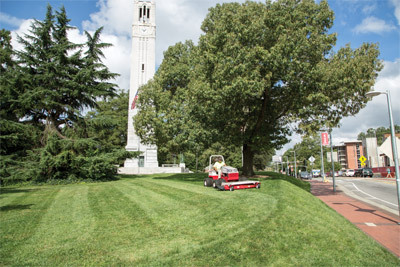 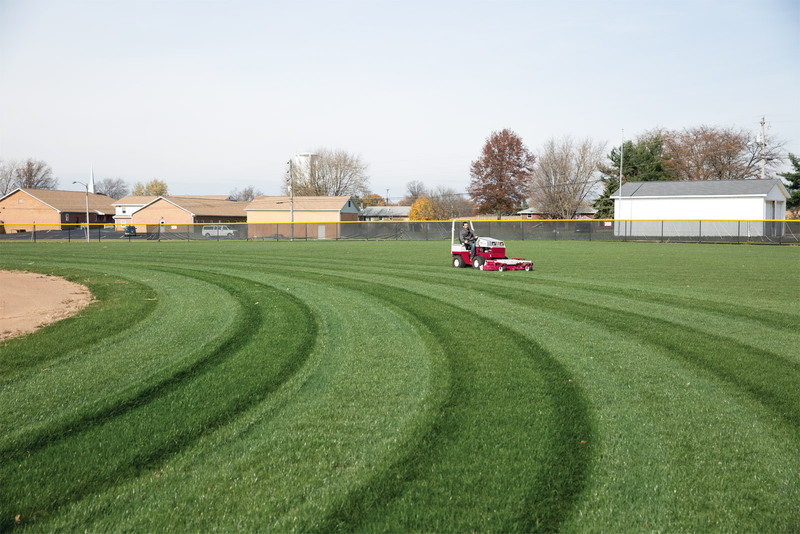 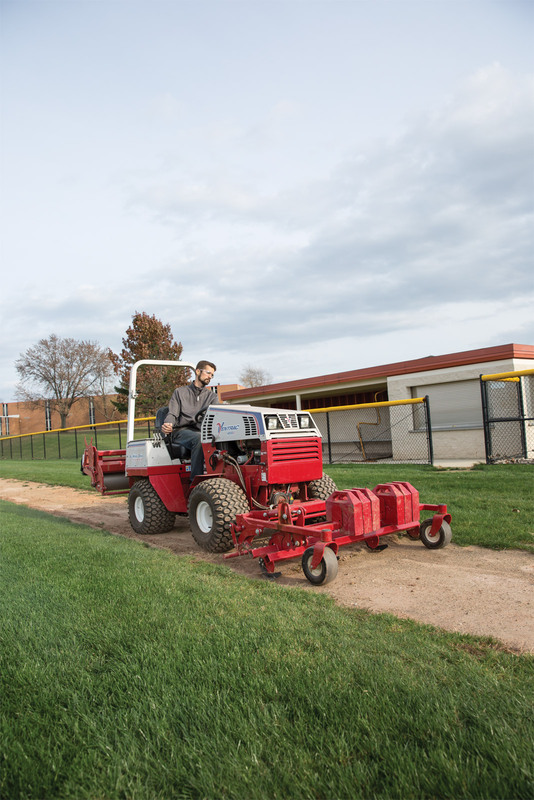 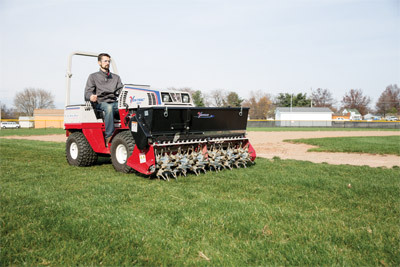 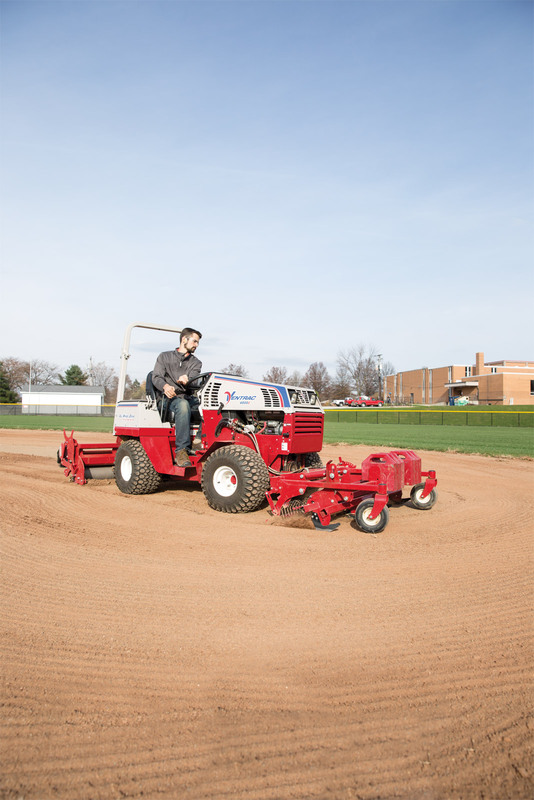 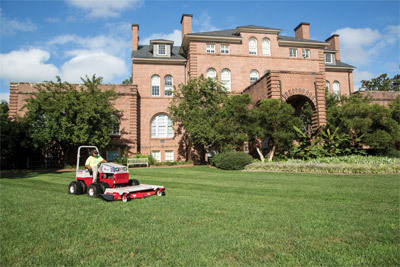 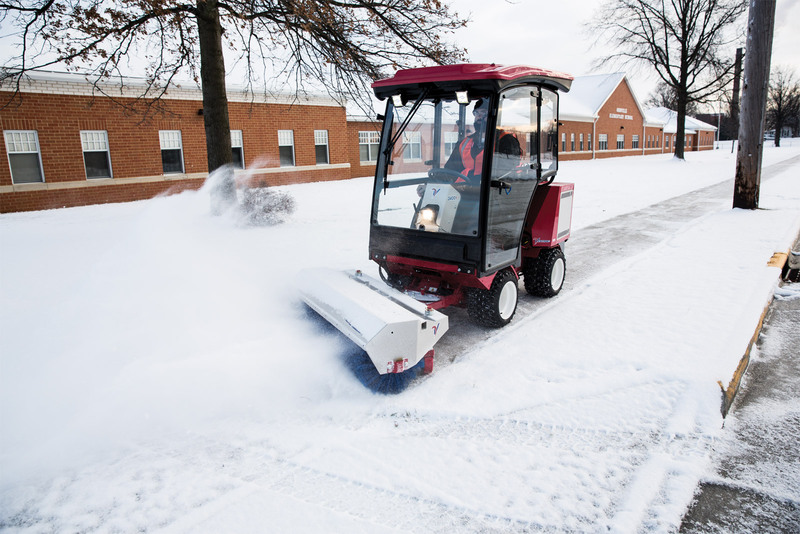 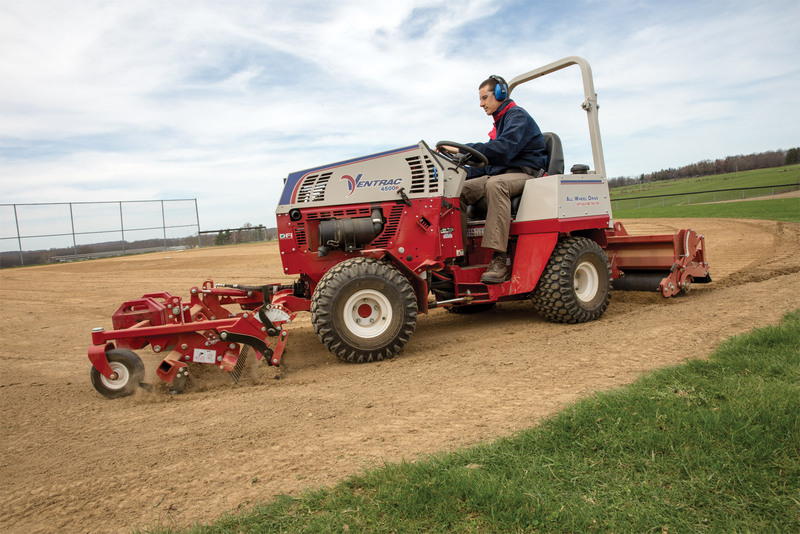 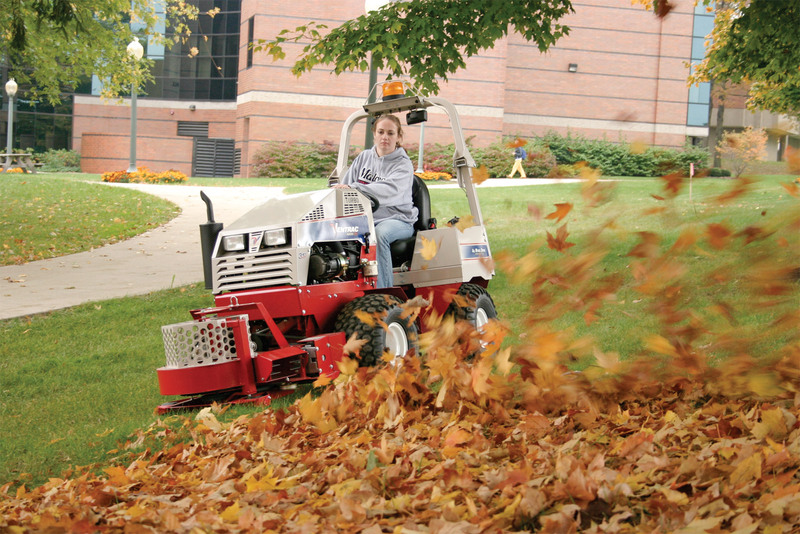 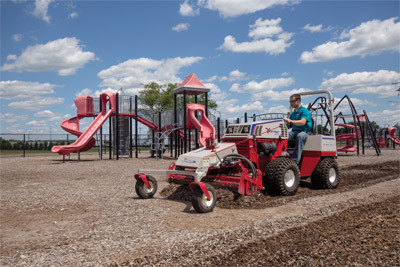 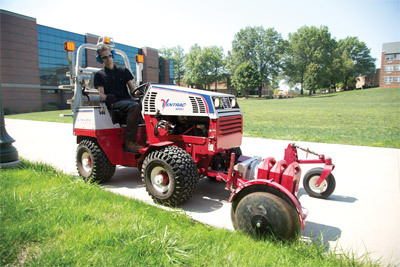 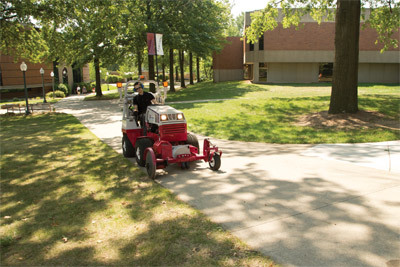 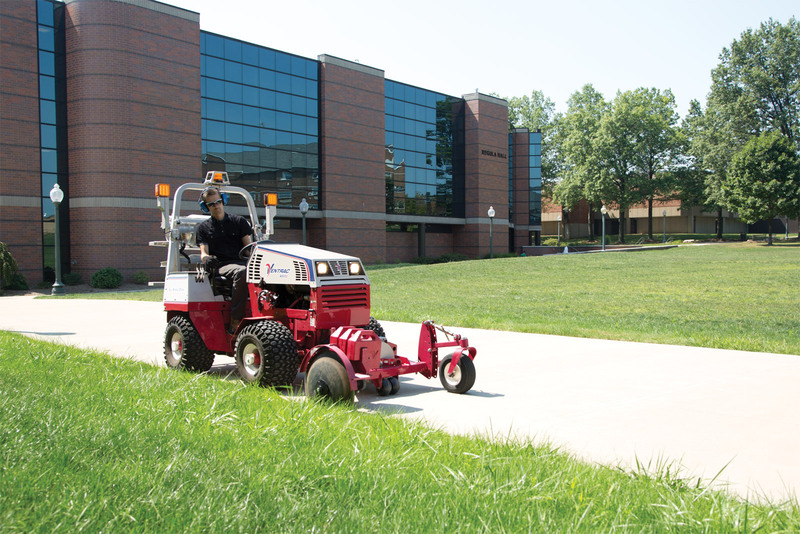 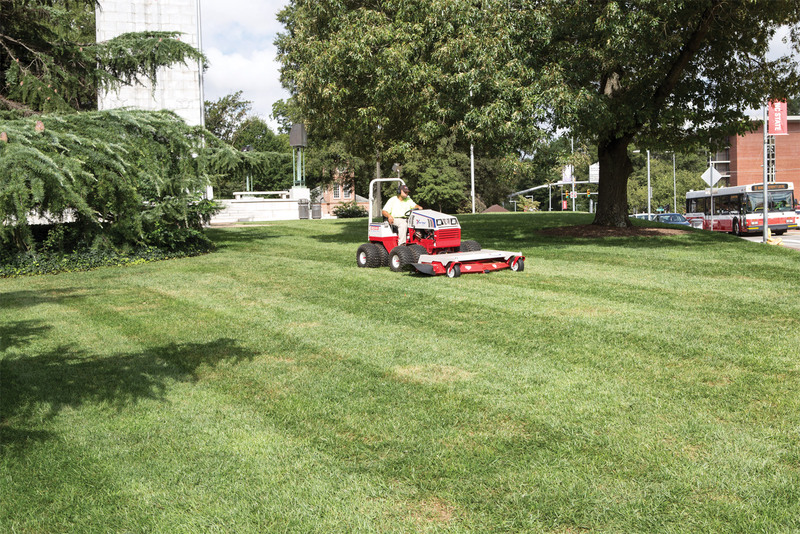 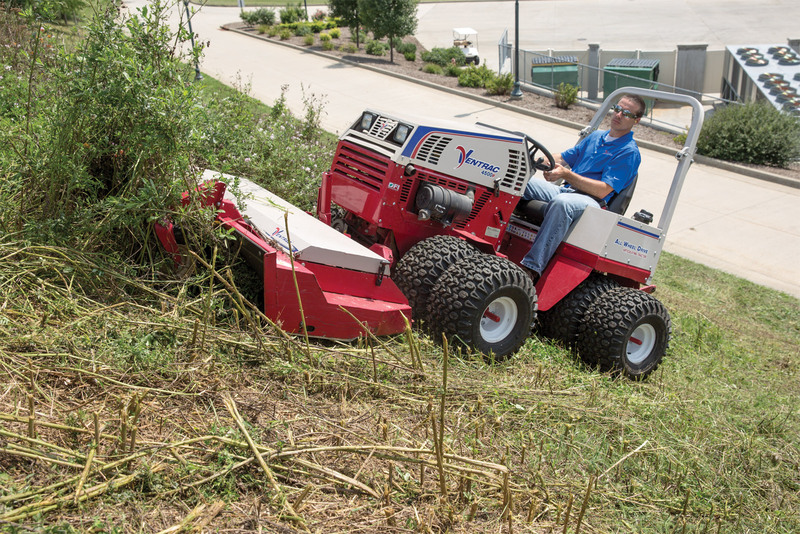 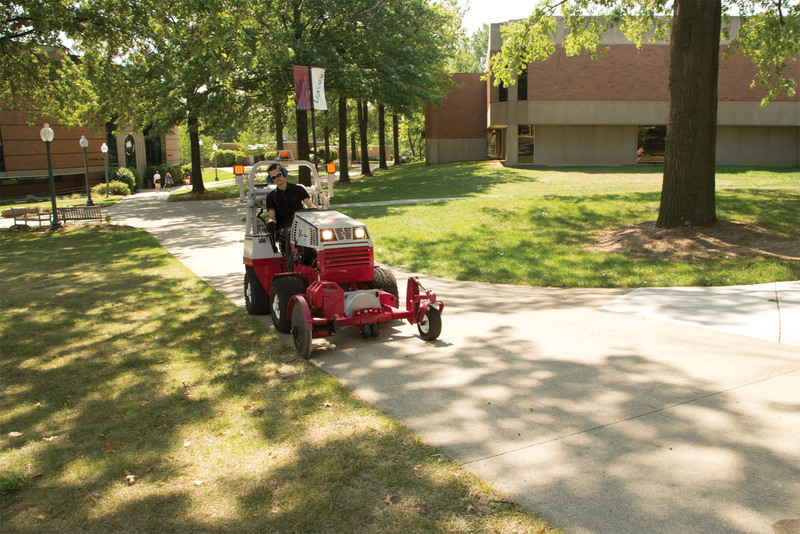 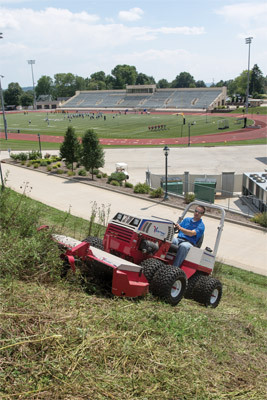 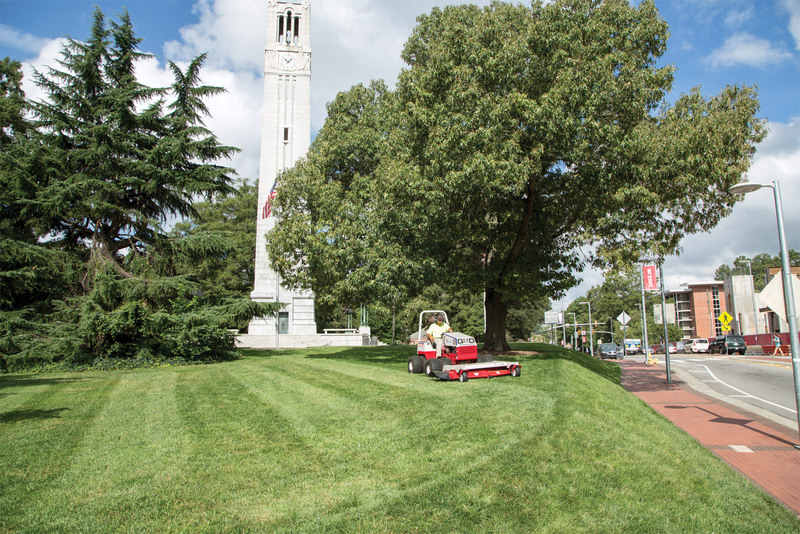 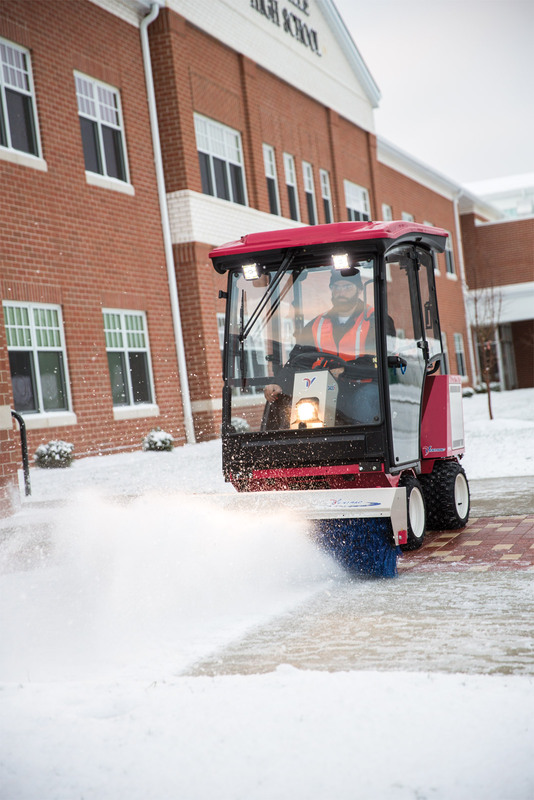 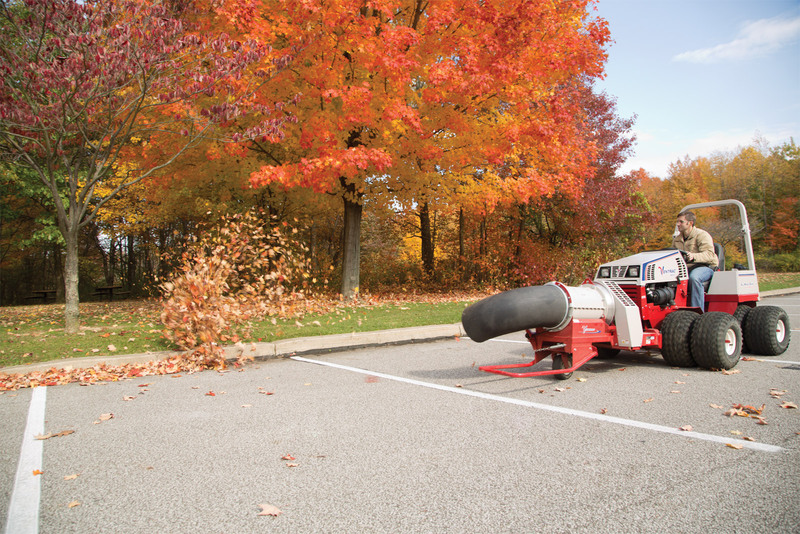 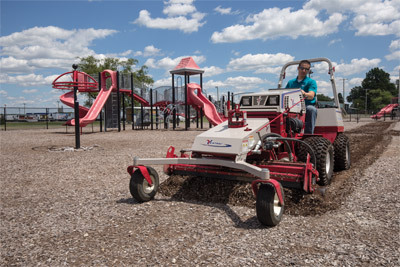 Since schools take care of a variety of outdoor spaces, an effective and versatile machine like the Ventrac is the perfect solution to help save time and money, all while achieving impressive results every time. 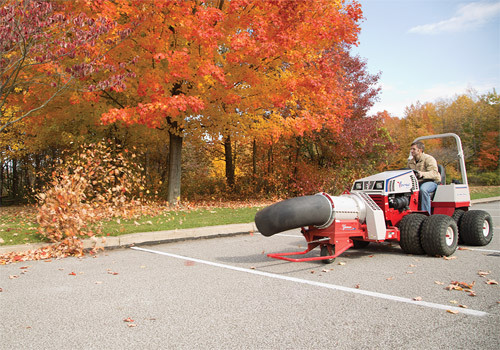 Enlarge Picture / Press Link · Ventrac 4500Z with Winter Ready Setup - Featuring the HB580 Broom, SA250 Salt Spreader, and the KW450 Cab. 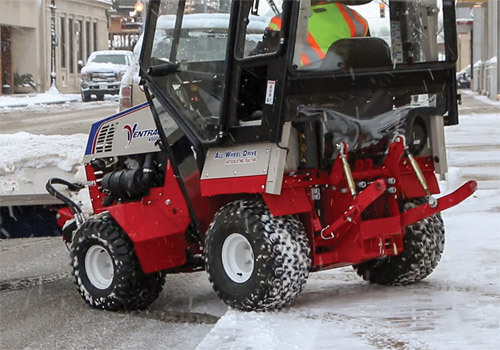 Enlarge Picture / Press Link · Ventrac 4500Z with Complete Winter Ready Setup - Clear snow, salt the walkways, and stay warm and dry all at once. Enlarge Picture / Press Link · Striping lawn with Ventrac 4500 and HM722 - Professional striping for a beautiful lawn thanks to the heavy duty built Ventrac Mower Deck. 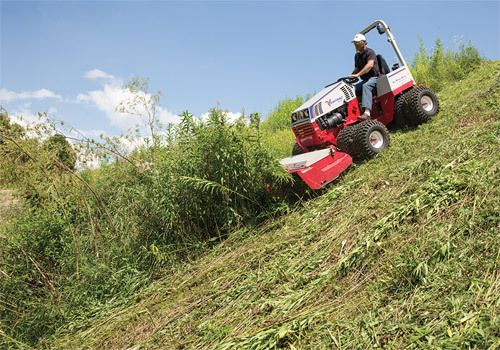 Enlarge Picture / Press Link · Ventrac 4500 finish mowing with 72 inch deck - Large mower deck makes fast work of large areas while the maneuverability of the 4500 helps with tight spaces as well. 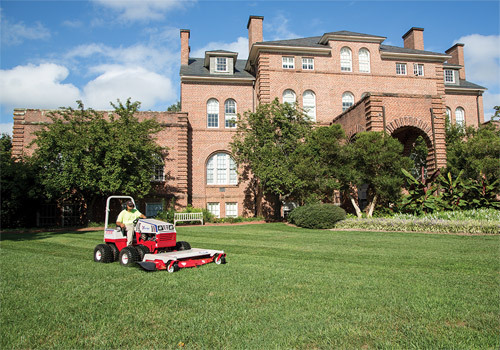 Enlarge Picture / Press Link · Finishing touch with Ventrac 4500 and HM722 Deck - The 72 inch complete mowing deck makes lawns look professionally done every time. Enlarge Picture / Press Link · Ventrac 4500 Clearing Snow - Operators can stay warm and dry while battling winter thanks to an enclosed heated cab. 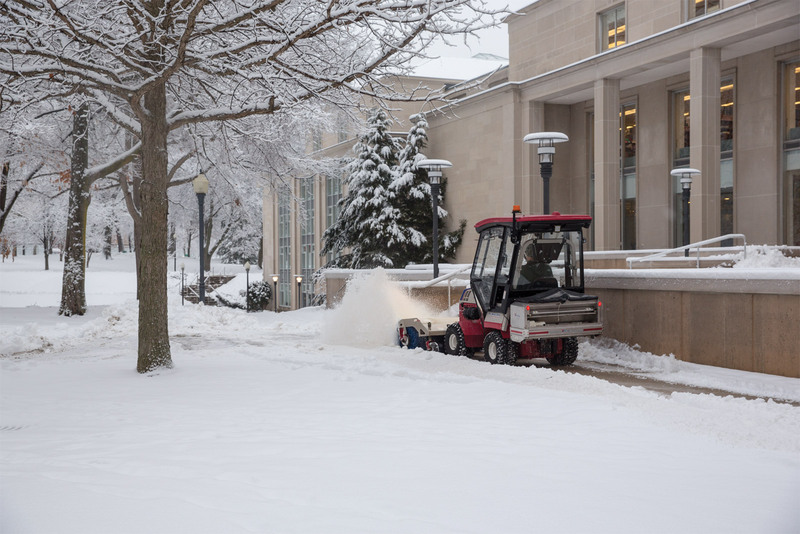 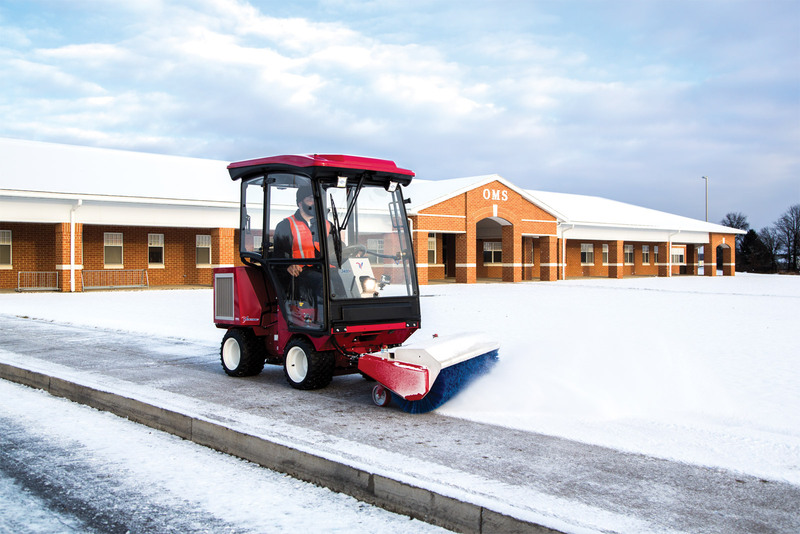 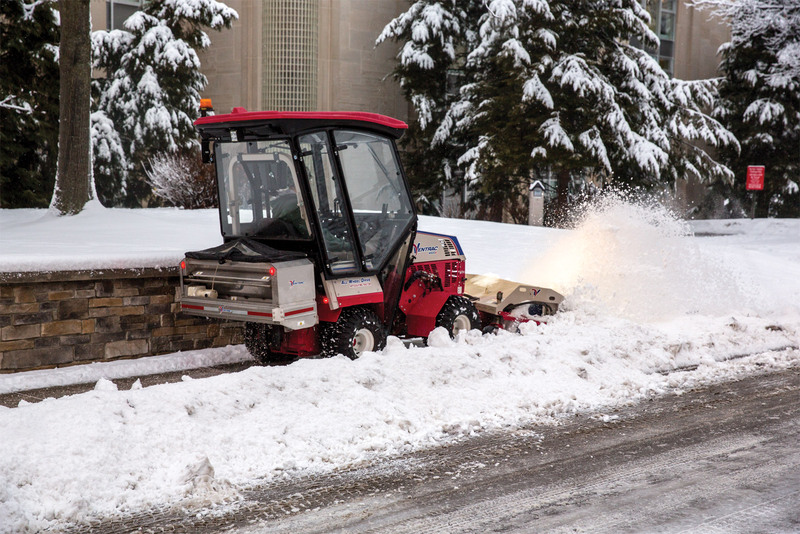 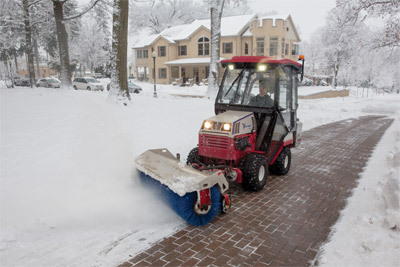 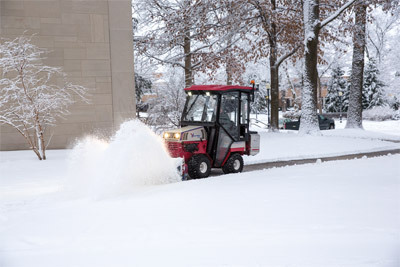 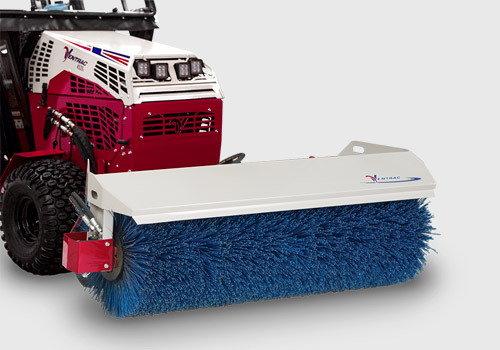 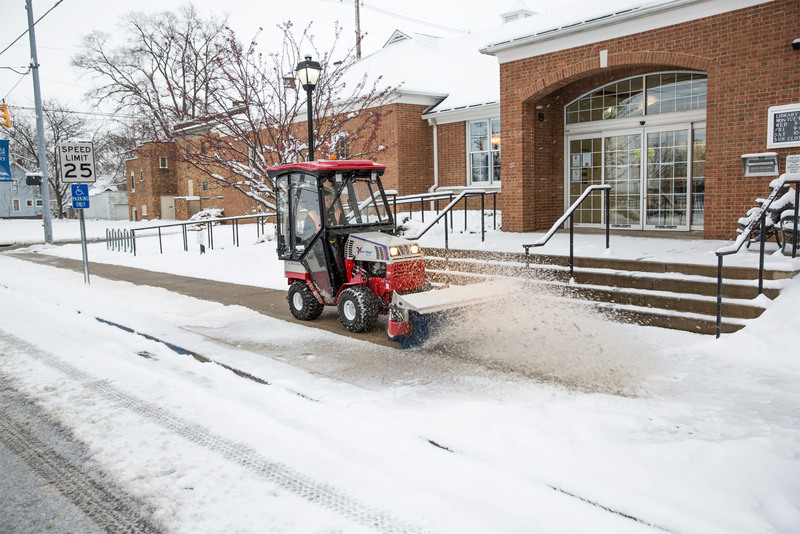 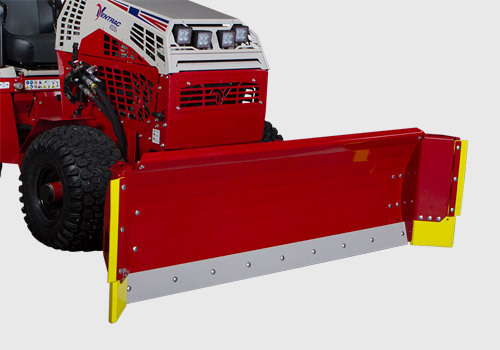 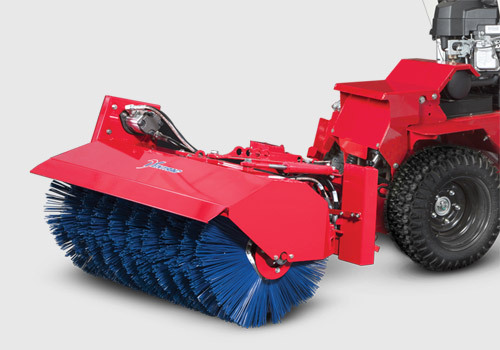 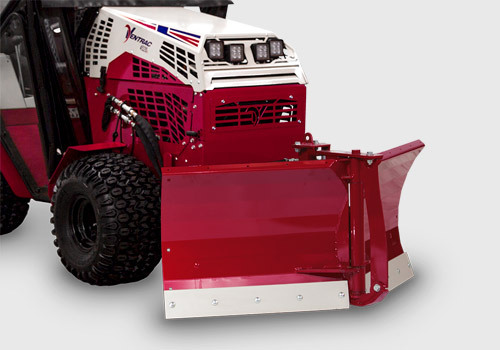 Enlarge Picture / Press Link · Ventrac 4500Z using Power Broom for Snow - The Power Broom gets right down to the pavement level in a way that blades cannot for a more complete snow removal.